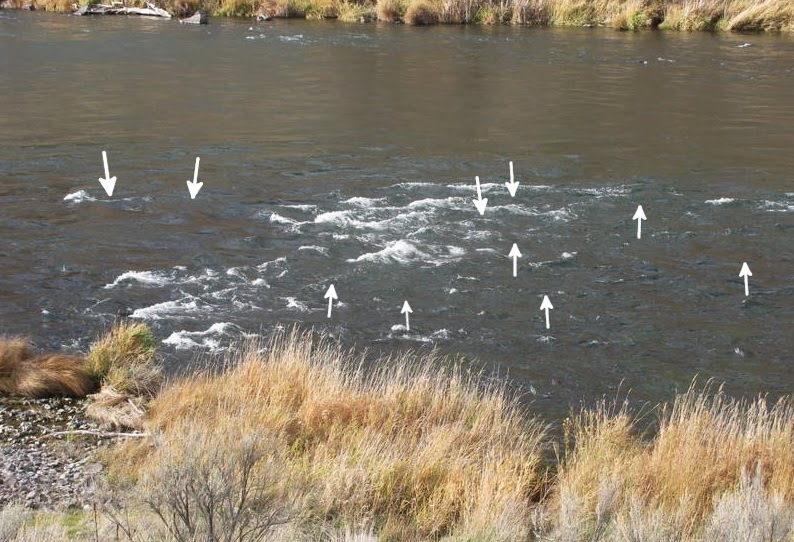 The photo above shows examples of pocket water, and the arrows indicate the potential areas where fish could be holding. Pocket water is a prime lie for fish because it provides good cover, quick access to food and protection from predators. It has large and small boulders that break up the 2 to 4 foot depths into sections of white water, swirling eddies, current breaks and seams as well as small pools. Precise casts, line control and careful mends are mandatory. You should fish all possible lies and be ready for quick strikes. Shorter casts are best since too much line can spook fish. Noisy wading is also a deterrent. The method of high sticking, as discussed in my 9-15-13 blog post, "How to Tie Glo Bugs," is also effective. 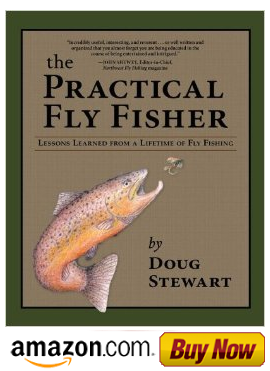 You can control the fly better, maintain less drag and have faster hook ups. Fly Fishing Success with the Sun on the Water.